What this means for someone in Halifax who lists their property on HomeAway is that they can help pay for their next vacation (or mortgage) by renting out their apartment, house, or vacation home. When you click on the HomeAway price filter, it pops up with a bar graph that shows the relative number of listings for each price level, which makes it easy to estimate how much a property in the Halifax area would earn. In the Halifax area, most 1 bedroom properties earn approximately $770 per week. Most 2 bedroom properties in Halifax earn approximately $960 per week. 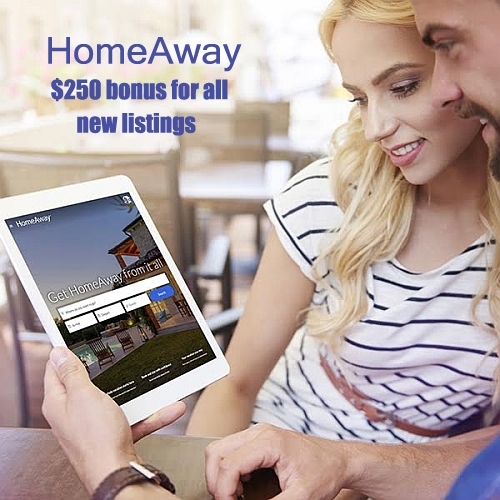 To receive the $250 bonus from HomeAway, the property you list does not have to be in the Halifax area. It can be located anywhere in Canada or the United States, but it must be a first time listing. halifax, yhz, offers and homeaway.